The following resources detail what we have learned to date through TAACCCT about effective strategies for serving adult learners at community colleges. For information on the TAACCCT National Evaluations, see the TAACCCT Evaluations page. The Acceleration Strategies Series covers the TAACCCT grantees’ use of Prior Learning Assessment to accelerate credential attainment for adult students with considerable work experience and the models used by TAACCCT grantees to support underprepared adult learners. Powerhouse Partnerships: Community Colleges and Workforce Boards Working Together describes the activities and strategies of a wide variety of partnerships between community colleges and workforce boards, with key takeaways that can help other colleges and workforce organizations solidify their collaborations and further their mutual goals. The TAACCCT Sustainability Toolkit is designed to support the sustainability of the programs and innovations developed by grantees through the TAACCCT Program. The Innovations Leading to Career Success Webinar Series showcases strategies and resources of broad interest to community colleges and others engaged in career-focused education and training. Register now for upcoming webinars on career pathways, developmental education using competency-based education, affordable learning solutions, sustaining innovation, and apprenticeship. Voices of TAACCCT College Presidents is a podcast series in which community college presidents discuss the impact that TAACCCT has had on their colleges. The series explores the leadership mindset and strategic approach that the presidents have taken to scale and sustain the impact of TAACCCT at their institutions. Accelerating Pathways to Careers for Adult Learners is a series of case studies highlighting accelerated program models and services designed for adult students at community colleges. The case studies are drawn from programs funded by the TAACCCT program and feature adult-friendly models for evidence-based strategies that help adult learners reenter school and find jobs. The fact sheets found here illustrate some of the significant impacts that TAACCCT is having on community college and workforce systems across the country. We will update this material as new information becomes available. Community College Presidents' Voices on Impact: Hear directly from seven Community College presidents about how TAACCCT is impacting their institutions. The SkillsCommons.org is an online library of free Open Educational Resources for workforce training developed by TAACCCT grantees. For background, see page on Open Educational Resources page. The Competency Model Clearinghouse provides validated industry competency models and tools to build custom models and career ladder/lattice for industries, including several contributed by TAACCCT grantees. Workforce System Strategies contains several resources and reports on the TAACCCT Program, developed by TAACCCT grantees, evaluators, and other organizations. 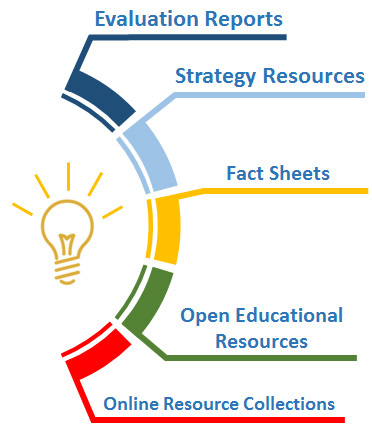 The Strategies for Transformative Change brief series provides summaries of strategies employed by TAACCCT consortia. Included in each two-page brief is a description of the strategy and any available evidence of success.